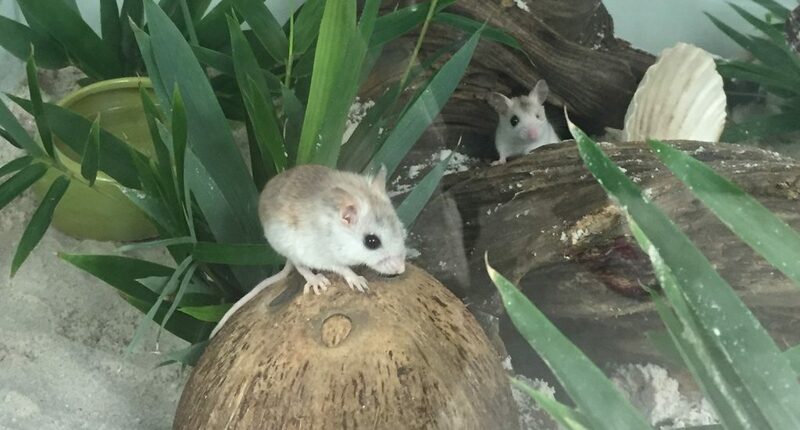 October 15, 2018 – The Association of Zoos and Aquariums (AZA) announced that the Santa Fe College Teaching Zoo, Brevard Zoo and the Palm Beach Zoo and Conservation Society have been recognized with AZA’s 2018 North American Conservation Award for significant achievement in the Perdido Key beach mouse Species Survival Plan program. The three AZA-accredited facilities received this national award during AZA’s September conference in Seattle. This annual award recognizes exceptional efforts toward regional habitat preservation, species restoration, and support of biodiversity in the wild. Perdido Key beach mice (PKBM) made the endangered species list in 1985 with an estimated population of only a few dozen mice. The core value to conserve and protect wildlife and their habitat brought partners together in an effort to save the Perdido Key beach mouse from extinction. Partners worked together to combine resources and merge their individual strengths. The successful accomplishment of recovery plan objectives including restoring habitat, creating educational programs and a successful zoo breeding program has brought the PKBM back from the brink of extinction. Today, the PKBM population is at a 30 year high with an estimated population of a few thousand individuals.